Will bundle sales show in the components? 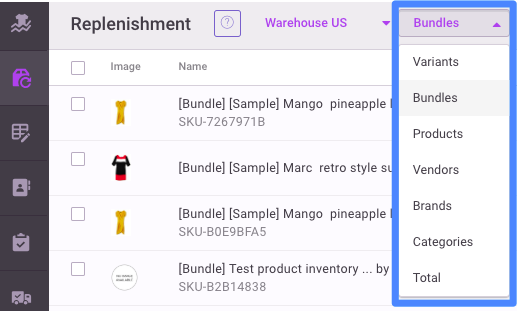 Once a product is set up as a bundle in Inventory Planner, sales of the bundle will be allocated to its component parts. That means that sales of the component reflect both the bundle and sales of the individual item (assuming the component is for sale independent of the bundle). The bundle will now show in the Bundle view in Replenishment. Replenishment will be forecasted for the components based on predicted demand for the bundle and the components. To view components, use the Variant view in Replenishment.